CAPS United have given up on their plans to sign How Mine left back Milton “Milito” Ncube. Milito along with new CAPS United signing Praise Tonha were some of the most impressive players under Kelvin Kaindu last year. Yesterday the player said though he liked the idea of working under Chitembwe, he had decided to stay put. CAPS United chief executive Cuthbert Chitima said they stopped the bid after learning the player had committed his future to How Mine. “Yes, he was one of our targets but I understand that he signed with How Mine. He is no longer in our plans now,” Chitima said. Milito said: “The idea of working under coach Chitembwe would have been great but I decided to stay here. I’m yet to sign but it’s highly likely I will be playing here this season. 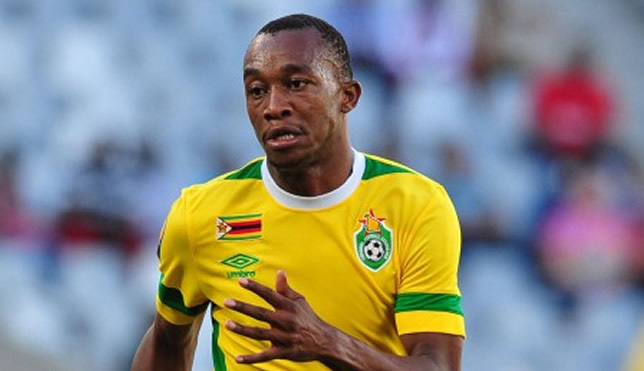 It was expected that Milito would give Chitembwe’s charges more options for the left back. The departure of Ronald Pfumbidzai left CAPS United with few options. Valentine Musarurwa is set to play a big role in the position, in a season the 2016 champions look much strong on paper and are favourites for the title. Milito however rules out the three traditional giants CAPS, Dynamos and Highlanders, from the title. “I think it will be the defending champions FC Platinum, Chicken Inn and Ngezi Platinum. Those three have a big chance of winning the title. “I don’t think the giants will have a chance because there is not much on continuity as they have added a lot of new players. There is much continuity at those other three clubs. “With How Mine, I don’t think we stand a chance as well because we have lost too many players. Maybe if all the players that left had remained at the club, we were going to have a better chance of winning the title,” he said. Last year How Mine were in a good position to challenge for the title but they lost their way when they started experiencing financial problems. They lost a number of matches that should have kept them in the race. They ended up fighting for a respectable position while they managed to reach the final of the Chibuku Super Cup. “It was not such a good season for us, but we had a strong team in place. With a bit of luck we could have won the title,” he said.